When you hear the word “fireplace,” you may immediately think of a masonry firebox/hearth in which wood is burned. This is the classic setup, after all, and the wood-burning fireplace maintains its place as a popular option in homes throughout the area. However, burning wood in a traditional fireplace is not the only way in which to enjoy the benefits of a fireplace. And, for some, it is not the ideal way in which to do so. The other options to explore include freestanding wood stoves, electric fireplace inserts, and gas log inserts. And you know what? We can service them all! If you’re looking for service on your specific fireplace, or if you’re just interested in the benefits of other fuel sources, you’re in luck. Today, we’ll be taking a quick look at these options, and we’ll discuss the benefits that each has to offer. So give us a call when you decide that you’re ready for outstanding fireplace service in Hammond, LA. You’re a Business Owner: What are Your Air Conditioning Options? So you’re a business owner, and you need HVAC services for your property. Can it really be all that different than the type of services a homeowner would receive? We’re basically dealing with the same services and products, but when you add more people into the mix (like employees and customers), that’s when the normal residential HVAC equipment won’t cut it. We’ll go through some of your HVAC options you’ll need to consider as a business owner. 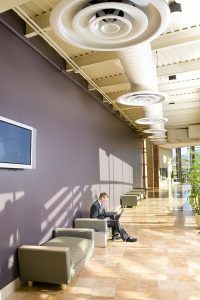 Posted in Commercial HVAC | Comments Off on You’re a Business Owner: What are Your Air Conditioning Options?